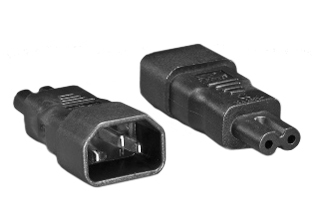 IEC 60320 (C-13) IN-LINE CONNECTOR (REWIREABLE), 10 AMPERE-250 VOLT (UL), 15 AMPERE-250 VOLT (VDE). BLACK. ACCEPTS 18 AWG (1.0 mm2) CONDUCTORS, 8.5mm DIA. (0.330) CORDAGE. OPERATING TEMP.= -25C + 70 C. TERMINAL TORQUE=0.5Nm,COVER/ STRAIN RELLIEF= 0.3Nm. MATERIAL= THERMOPLASTIC, UL 94V-0. 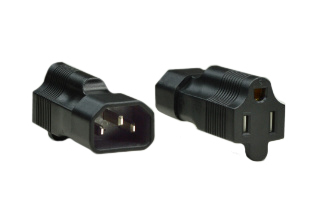 Description: IEC 60320 C-13 CONNECTOR, 15 AMPERE-250 VOLT AND 10 AMPERE-250 VOLT, 2 POLE-3 WIRE GROUNDING (2P+E), ACCEPTS 18 AWG (1.0 mm2) CONDUCTORS, 7 mm DIA. (0.276") CORDAGE, BLACK. OPERATING TEMP.= -25C + 70 C. TERMINAL TORQUE=0.5Nm,COVER/ STRAIN RELIEF= 0.3Nm. MATERIAL= THERMOPLASTIC, UL 94V-0. 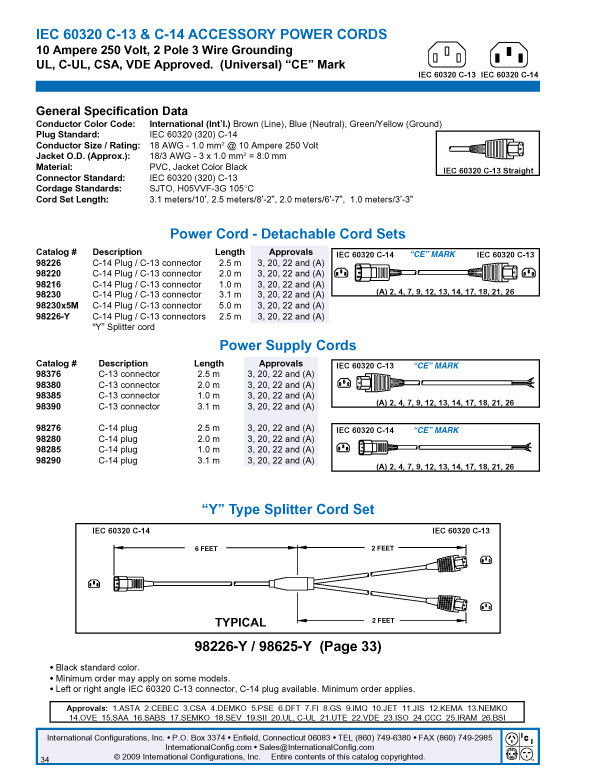 Note: IEC 60320 Plugs, Connectors, Power Cords, Outlet Strips, Sockets, Inlets, Plug Adapters are listed below in Related Products. 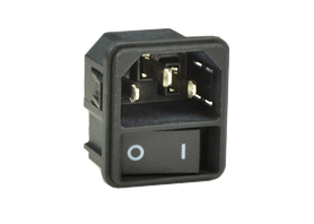 IEC 60320 C-13 CONNECTOR 15A-250V (UL/CSA), 10A-250V (VDE, CCC), ACCEPTS 18 AWG (1.0 mm2) CONDUCTORS, 7mm DIA. (0.276") CORDAGE. BLACK. 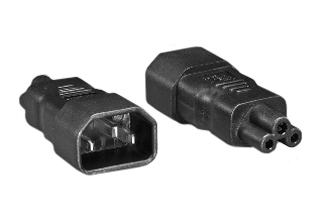 IEC 60320, PA130100BK C-13 LOCKING CONNECTOR (REWIREABLE), 15 AMP. 125V-250V, C(UL)US LISTED, 10 AMP. 250 VOLT EUROPEAN APPROVED (KEMA-KEUR). BLACK. NOTE: LOCKS ONTO IEC 60320 C-14 PDU POWER STRIPS, C-14 INLETS, C-14 PLUGS, C-14 JUMPER CORDS. RED COLOR RELEASE LEVER UNLOCKS THE C-13 CONNECTOR. 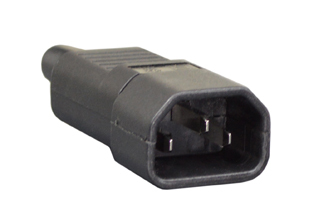 IEC 60320 C-13 CONNECTOR, 15A-125V / 10A-250V (UL/CSA), TERMINALS ACCEPT 10/3, 12/3, 14/3, 16/3, 18/3 AWG CONDUCTORS, CORD GRIP RANGE .300"-.655" DIA. CORD. BLACK. 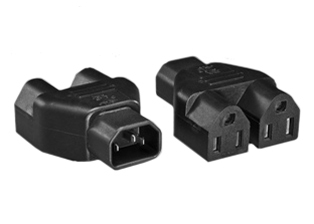 IEC 60320 C-13 RIGHT ANGLE CONNECTOR, 15A-250V (UL/CSA), 10A-250V (VDE), TERMINALS ACCEPT 14 AWG (2.5 mm2) CONDUCTORS, 7 mm DIA. (0.276") CORDAGE. BLACK. IEC 60320 C-13 DOWN ANGLE CONNECTOR, 15A-125V (UL/CSA), 10A-250V (VDE), TERMINALS ACCEPT 14 AWG (2.5 mm2) CONDUCTORS, 9 mm DIA. (0.354") CORDAGE. BLACK. 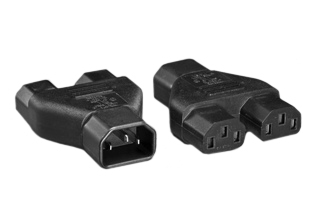 IEC 60320 C-13 DOWN ANGLE CONNECTOR, 10A-250V (VDE), TERMINALS ACCEPT 14 AWG (2.5 mm2) CONDUCTORS, 8.5 mm DIA. (0.315) CORDAGE. BLACK. 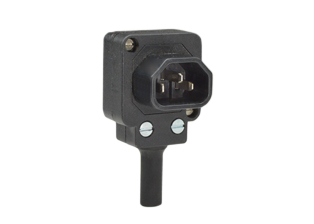 IEC 60320 C-14 PLUG, 10A-250V, ACCEPTS 18 AWG (1.0 mm2) CONDUCTORS, 7 mm DIA. (0.276") CORDAGE. BLACK. 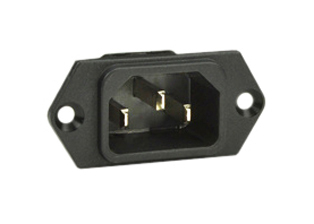 IEC 60320 C-14 PLUG, 10A-250V, TERMINALS ACCEPT 18AWG - 14AWG CONDUCTORS, (0.394) DIA. CORDAGE. BLACK. 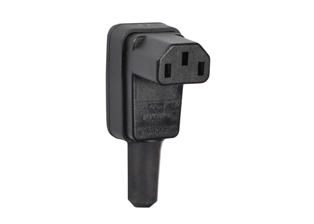 IEC 60320 C-14 RIGHT ANGLE PLUG, 10A-250V (UL,CSA, VDE,CCC). ACCEPTS 14 AWG (2.5 mm2) CONDUCTORS, 7mm DIA. (0.276") CORDAGE. BLACK. 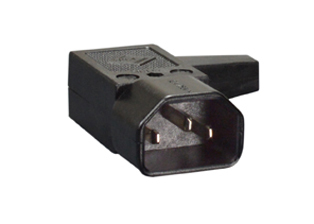 IEC 60320 C-14 RIGHT ANGLE PLUG, 10 AMP-250 VOLT, TERMINALS ACCEPT 18AWG - 14AWG CONDUCTORS, 10mm (0.394") DIA. CORDAGE. BLACK. 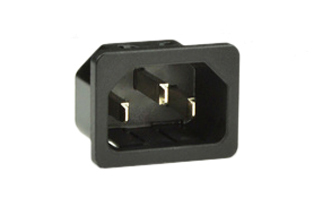 IEC 60320 C-14 LEFT ANGLE PLUG, 10A-250V, TERMINALS ACCEPT 18AWG-14AWG CONDUCTORS, 10mm (0.394) DIA. CORDAGE . BLACK. 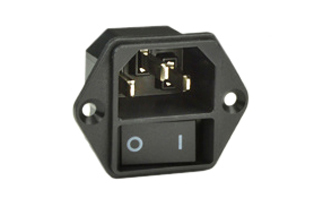 IEC 60320, C-14 ANGLE PLUG, 10A-250V, ACCEPTS 18 AWG (1.0 mm2) CONDUCTORS, 8.5 mm MAX DIA. CORDAGE. BLACK. IEC 60320 C-13 POWER OUTLET, 15A/10A-250V , SCREW MOUNT TO PANELS, 4.8 x 0.8 mm TABS. BLACK. IEC 60320 C-13 POWER OUTLET, 15/10A-250V, SCREW MOUNT TO PANELS, SOLDER TABS. BLACK. 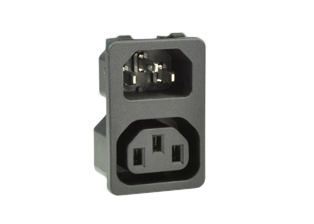 IEC 60320, C-13 POWER OUTLET, 15A-250V, 10A/250V, SNAP-IN MOUNT ON 1.5 mm THICK PANEL, 4.8 x 0.8 mm (0.189" x 0.032") TERMINALS. BLACK. 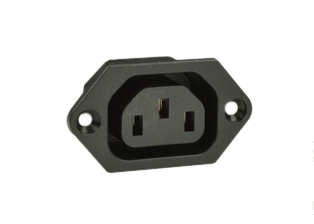 IEC 60320, C-13 POWER OUTLET, 15/10A-250V, SNAP-IN MOUNT ON 1.5 THICK PANEL, 3.5 x 0.8 mm (0.138" x 0.032") SOLDER TERMINALS. BLACK. 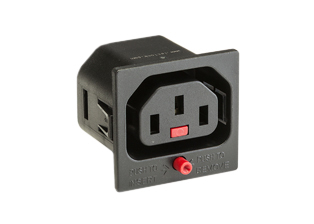 IEC 60320 C-13/14 10A-250V SNAP-IN PANEL MOUNT POWER OUTLET/INLET, 4.8 x 0.8 mm (.189" x 0.032") TERMINALS. BLACK. 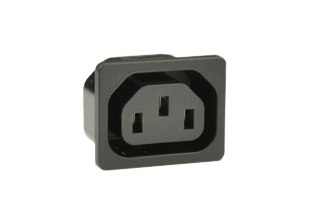 IEC 60320 C-13/14 10A-250V SNAP-IN PANEL MOUNT POWER OUTLET/INLET, 4.8 x 0.8 mm (.187" x .032") TERMINALS. BLACK. IEC 60320 C-14 15A-250V POWER INLET, PANEL MOUNT, 4.8 x 0.8 mm (0.189� x 0.032�) Q.C. TERMINALS. BLACK. IEC 60320 C-14 15A-250V POWER INLET, PANEL MOUNT, 3.5 x 0.8 mm (0.138� x 0.032�) SOLDER TERMINALS. BLACK. 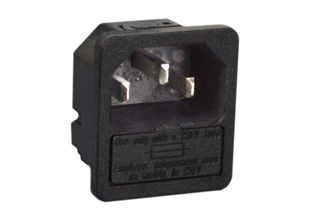 IEC 60320 C-14 15A-250V POWER INLET, SNAP-IN MOUNT, 6.3 x 0.8 mm (0.250" x 0.032") Q.C.TERMINALS. BLACK. IEC 60320 C-14 15A-250V SNAP-IN PANEL MOUNT POWER INLET, 3.5 x 0.8 mm (0.138� x 0.032�) SOLDER TERMINALS. BLACK. IEC 60320 C-14 10A-250V FUSED SNAP-IN PANEL MOUNT POWER INLET, 3.5 x 0.8 mm (0.138� x 0.032�) TERMINALS. BLACK. IEC 60320 C-14 10A-250V FUSED SNAP-IN PANEL MOUNT POWER INLET, 6.3 x 0.8 mm (0.250� x 0.032�) TERMINALS. BLACK. IEC 60320 C-14 10A-250V FUSED SNAP-IN PANEL MOUNT POWER INLET, 4.8 x 0.8 mm (0.189� x 0.032�) TERMINALS. BLACK. IEC 60320 C-14 10A-250V SNAP-IN PANEL MOUNT POWER INLET, SINGLE POLE (SPST) SWITCH, 4.8 x 0.8 mm (0.189� x 0.032�) TERMINALS. BLACK. IEC 60320 C-14 10A-250V SNAP-IN PANEL MOUNT POWER INLET, DOUBLE POLE (DPST) SWITCH, 4.8 x 0.8 mm (0.189� x 0.032�) TERMINALS. BLACK. IEC 60320 C-14 10A-250V PANEL MOUNT POWER INLET, DOUBLE POLE (DPST) SWITCH, 4.8 x 0.8 mm (0.189� x 0.032�) TERMINALS. BLACK. 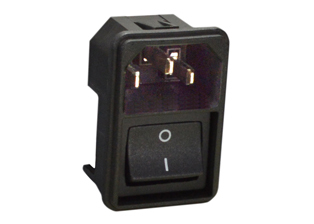 IEC 60320 C-14 10A-250V PANEL MOUNT POWER INLET, SINGLE POLE (SPST) SWITCH, 4.8 x 0.8 mm (0.189� x 0.032�) TERMINALS. BLACK. 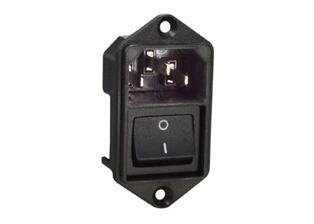 IEC 60320 (320) C-14 FUSED POWER ENTRY INLET,SCREW MOUNT TO PANELS,BLACK, 6.3mm Q.C. TERMINALS,2 P 3W. 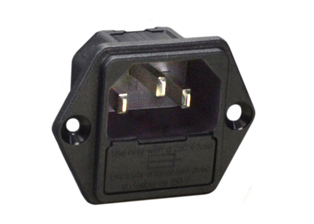 IEC 60320 C-14 10A-250V FUSED PANEL MOUNT POWER INLET, 4.8 x 0.8 mm (0.187� x 0.032�) TERMINALS. BLACK. 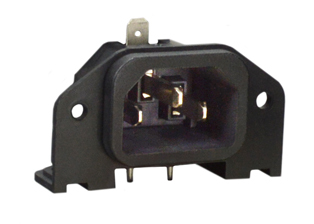 IEC 60320 C-14 10A-250V FUSED PANEL MOUNT POWER INLET, 3.5 x 0.8 mm (0.138� x 0.032�) TERMINALS. BLACK. 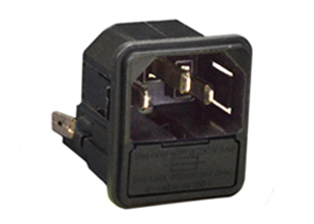 IEC 60320 C-14 10A-250V FUSED PANEL MOUNT POWER INLET, 4.8 x 0.8 mm (0.187� x 0.032� TERMINALS. BLACK. 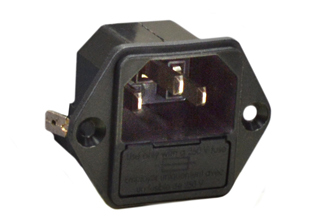 IEC 60320 C-14 10A-250V FUSED (DP) PANEL MOUNT POWER INLET, 4.8 x 0.8 mm (0.189� x 0.032� TERMINALS. BLACK. IEC 60320 C-14 10A-250V FUSED (DP) SNAP-IN PANEL MOUNT POWER INLET, 4.8 x 0.8 mm (0.189� x 0.032�) TERMINALS. BLACK. IEC 60320 C-14 15A-250V PANEL MOUNT POWER INLET. BLACK. IEC 60320 C13 C14 10A-250V 10 OUTLET PDU POWER STRIP, "19" IN. 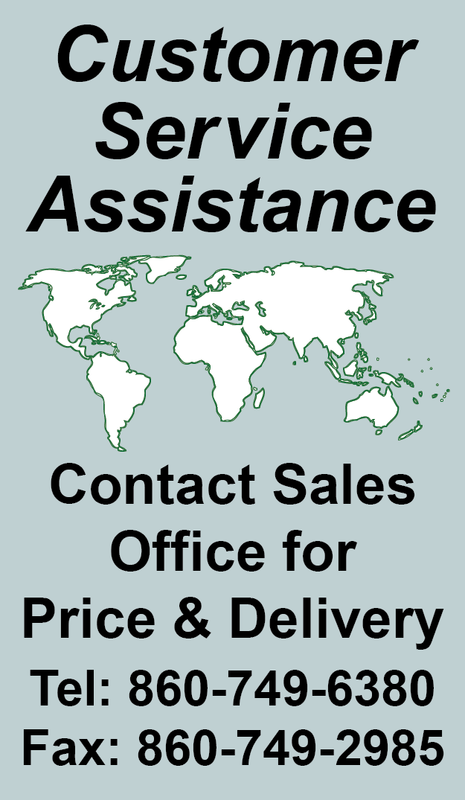 VERTICAL RACK MOUNT / SURFACE MOUNT, (1U) METAL ENCLOSURE, 3M (9FT-9IN) CORD. BLACK. IEC 60320 C13 C14 PDU POWER STRIP, 4 OUTLETS, 10A-230V, VERTICAL RACK / SURFACE MOUNT, METAL ENCLOSURE, D.P. CIRCUIT BREAKER, IEC 60320 C14 POWER INLET. GRAY. IEC 60320 C13 C14 PDU POWER STRIP, 8 OUTLETS, 10A-230V, VERTICAL RACK / SURFACE MOUNT, METAL ENCLOSURE, D.P. CIRCUIT BREAKER, IEC 60320 C14 POWER INLET. GRAY. IEC 60320 C13 C14 PDU POWER STRIP, 4 OUTLETS, 10A-230V, VERTICAL RACK/SURFACE MOUNT, METAL ENCLOSURE, R.F. FILTER, SURGE PROTECTION, D.P. CIRCUIT BREAKER, IEC 60320 C14 POWER INLET. GRAY. IEC 60320 C13 C14 PDU POWER STRIP, 6 OUTLETS, 10A-230V, VERTICAL RACK/SURFACE MOUNT, METAL ENCLOSURE, R.F. FILTER, SURGE PROTECTION, D.P. CIRCUIT BREAKER, IEC 60320 C14 POWER INLET. GRAY. IEC 60320 C13 C14 PDU POWER STRIP, 8 OUTLETS, 10A-230V, VERTICAL RACK/SURFACE MOUNT, METAL ENCLOSURE, R.F. FILTER, SURGE PROTECTION, D.P. CIRCUIT BREAKER, IEC 60320 C14 POWER INLET. GRAY. IEC 60320 C13, C14 10 AMPERE-250 VOLT 4 OUTLET PDU POWER STRIP, C14 FUSED POWER INLET. BLACK/GRAY. Note: For horizontal rack applications use No.52019 or No.52019-BLK mounting plate. IEC 60320 C13, C14 10A-250V 6 OUTLET PDU POWER STRIP, C14 FUSED POWER INLET. BLACK/GRAY. IEC 60320 C13, C14 10 AMPERE-250 VOLT 8 OUTLET PDU POWER STRIP, C14 FUSED POWER INLET. BLACK/GRAY. IEC 60320 C13, C14 10 AMPERE-250 VOLT 4 OUTLET PDU POWER STRIP, D.P. ILLUMINATED ON/OFF SWITCH, C14 FUSED POWER INLET. BLACK/GRAY. IEC 60320 C13, C14 10 AMPERE-250 VOLT 6 OUTLET PDU POWER STRIP, D.P. ILLUMINATED ON/OFF SWITCH, C14 FUSED POWER INLET. BLACK/GRAY. IEC 60320 C13, C14 10 AMPERE-250 VOLT 8 OUTLET PDU POWER STRIP, D.P. ILLUMINATED ON/OFF SWITCH, C14 FUSED POWER INLET. BLACK/GRAY. 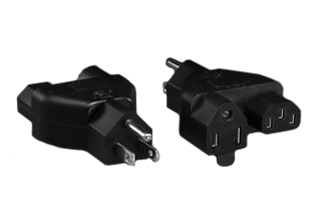 UNIVERSAL (UL,CSA,VDE,CCC) APPROVALS) 10A-250V IEC 60320 C-14, C-13 POWER CORD, 17/3 AWG, SJTO, 105�C, 1.0 METERS (3FT.-3IN.) (39") LONG. BLACK. 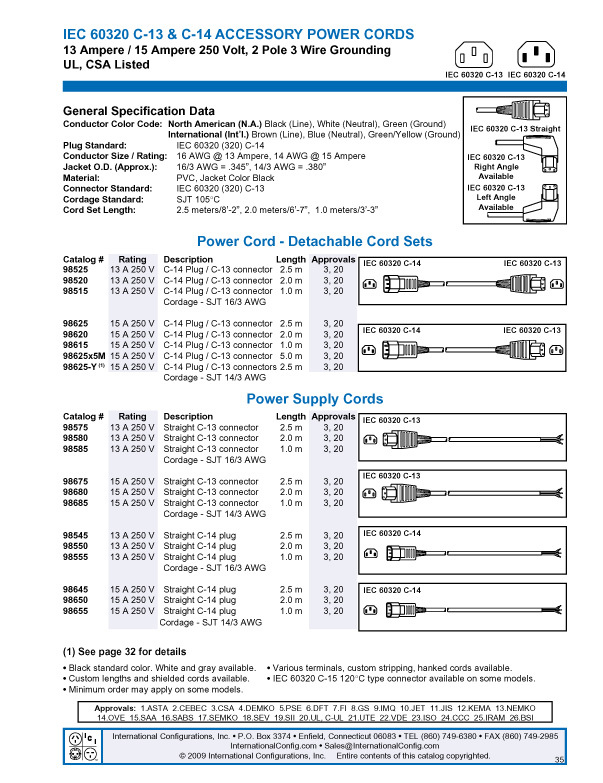 UNIVERSAL (UL,CSA,VDE,CCC) APPROVALS) 10A-250V IEC 60320, C-14, C-13 POWER CORD, 17/3 AWG, SJTO, 105�C, 3.05 METERS (10 FEET) (120") LONG. BLACK. 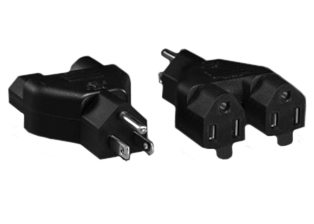 UNIVERSAL (UL,CSA,VDE,CCC) APPROVALS ) 10A-250V IEC 60320, C-14, C-13 POWER CORD, 18/3 AWG, SJTO, 105�C, 5.0 METERS (16FT.-5IN.) (197") LONG. BLACK. IEC 60320 C-14, C-13 POWER CORD, 15 AMPERE-250 VOLT (UL/CSA), 14/3 AWG, SJTO, 105�C, 1.0 METERS (3FT.-3IN.) (39") LONG. BLACK. IEC 60320 C-14, C-13 POWER CORD, 15 AMPERE-250 VOLT (UL/CSA), 14/3 AWG, SJTO, 105�C, 5.0 METERS (16FT.-5IN.) (197") LONG. BLACK. IEC 60320 C-14, C-13 POWER CORD, 10A-250V, VDE EUROPEAN H05VV-F 1.0MM CABLE, 2.5 METERS (8FT.-2IN.) (98") LONG. BLACK. IEC 60320 C-14, C-13 POWER CORD, 10 AMPERE-250 VOLT, VDE EUROPEAN H05VV-F 1.0MM CABLE, 1.0 METERS (3FT.-3IN.) (39") LONG. BLACK. IEC 60320 C-14, C-13 POWER CORD, 10 AMPERE-250 VOLT, VDE EUROPEAN H05VV-F 1.0MM CABLE, 3.1 METERS (10FT.-2IN.) (122") LONG. BLACK. IEC 60320 C-14, C-13 RIGHT ANGLE POWER CORD, 10 AMPERE-250 VOLT, VDE EUROPEAN H05VV-F 1.0MM CABLE, 2.5 METERS (8FT.-2IN.) (98") LONG. BLACK. 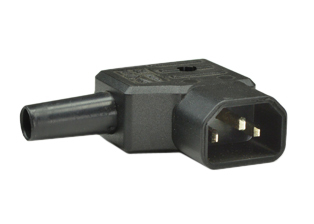 IEC 60320 C-14, C-13 RIGHT ANGLE POWER CORD, 10 AMPERE-250 VOLT, VDE EUROPEAN H05VV-F 1.0MM CABLE, 1.0 METERS (3FT.-3IN.) (39") LONG. BLACK. IEC 60320 C-14, C-13 RIGHT ANGLE POWER CORD, 10 AMPERE-250 VOLT, VDE EUROPEAN H05VV-F 1.0MM CABLE, 3.1 METERS (10FT.-2IN.) (122") LONG. BLACK. IEC 60320 C-14, C-13 LEFT ANGLE POWER CORD, 10 AMPERE-250 VOLT, VDE EUROPEAN H05VV-F 1.0MM CABLE, 2.5 METERS (8FT.-2IN.) (98") LONG. BLACK. IEC 60320 C-14, C-13 LEFT ANGLE POWER CORD, 10 AMPERE-250 VOLT, VDE EUROPEAN H05VV-F 1.0MM CABLE, 1.0 METERS (3FT.-3IN.) (39") LONG. BLACK. IEC 60320 C-14, C-13 LEFT ANGLE POWER CORD, 10 AMPERE-250 VOLT, VDE EUROPEAN H05VV-F 1.0MM CABLE, 3.1 METERS (10FT.-2IN.) (122") LONG. BLACK. IEC 60320 C-14, C-5 ADAPTER CORD, 2.5A-250V, 0.3 METERS (1 FOOT) (12") LONG. MATES C-13 CONNECTORS/OUTLETS TO C-6 INLETS. BLACK. 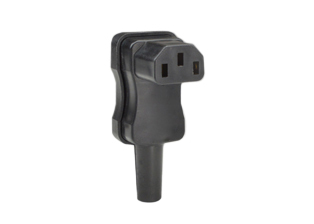 15A-125V PLUG ADAPTER. MATES NEMA L5-15P PLUG TO IEC 60320 C-13 CONNECTOR, 0.3 METERS (1 FOOT) (12") LONG. BLACK. 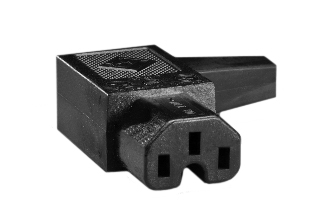 15A-250V PLUG ADAPTER. 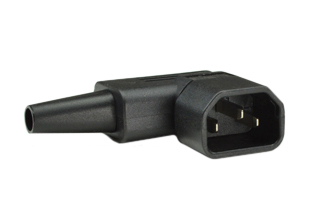 MATES NEMA L6-15P PLUG TO IEC 60320 C-13 CONNECTOR, 0.3 METERS (1 FOOT) (12") LONG. BLACK. 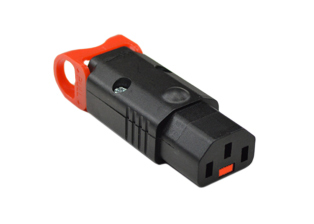 ADAPTER, 10A-250V, IEC 60320 C-14 PLUG, EUROPEAN CEE 7/3 (EU1-16R) "SCHUKO" SOCKET, 0.3 METERS (1 FOOT) (12") LONG. BLACK. IEC 60320 C-14 PLUG ADAPTER, FRANCE / BELGIUM CEE 7/5 (FR1-16R) SOCKET OUTLET, 0.3 METERS (1 FOOT) (12") LONG. BLACK. 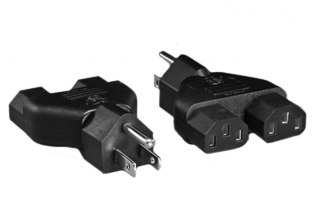 IEC 60320 C-14 PLUG ADAPTER, S. AFRICA/INDIA BS546A (UK2-15R) SOCKET OUTLET, 0.3 METERS (1 FOOT) (12") LONG. BLACK. 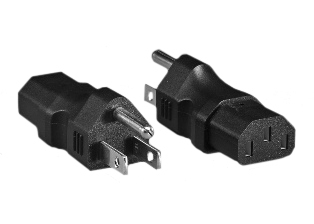 ADAPTER, 10A-250V, IEC 60320 C-14 PLUG, ARGENTINA AR1-10R CONNECTOR, 0.3 METERS (1 FOOT) (12") LONG. BLACK. 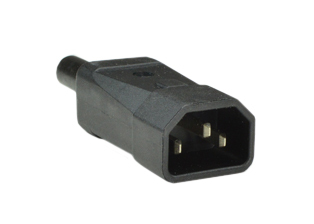 ADAPTER, IEC 60320 C-14 MALE PLUG, SWISS SW1-10R CONNECTOR, 0.3 METERS (1 FOOT) (12") LONG. BLACK. 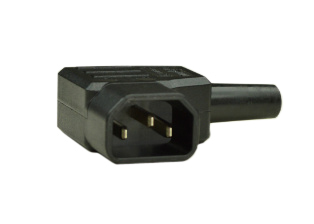 ADAPTER, IEC 60320 C-14 PLUG, ITALIAN IT2-16R CONNECTOR, 0.3 METERS ( 1 FOOT ) (12") LONG. BLACK. 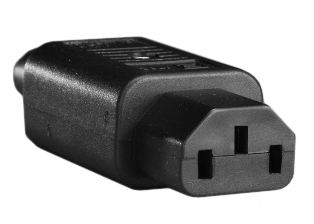 ADAPTER, IEC 60320 C-14 MALE PLUG, DENMARK DE1-13R CONNECTOR. 0.3 METERS (1 FOOT) (12") LONG. BLACK. 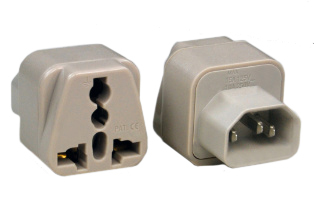 ADAPTER, IEC 60320 C-14 MALE PLUG, ISRAEL IS1-16R CONNECTOR, 0.3 METERS (1 FOOT) (12") LONG. BLACK. 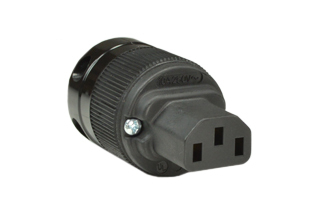 ADAPTER (NEMA 5-15P / NEMA 5-15R SPLITTER), 15A-125V, NEMA 5-15P PLUG, TWO NEMA 5-15R OUTLETS. BLACK.